Treat yourself to the ultimate Spa & Afternoon Tea Package. Enjoy a 60 minute Hot Stone Massage with Champagne Afternoon Tea. Please arrive at least 15 mins prior to this appointment time to enable you to change and fill out consultation card. Please also bring swim wear and a valid printed voucher if applicable. You appointment can be cancelled up to 48 hours before you visit or will be charged. However please note that after this point we are unable to offer a refund and any vouchers will become invalid. Late arrivals for the treatment time may result in your treatment time being out. 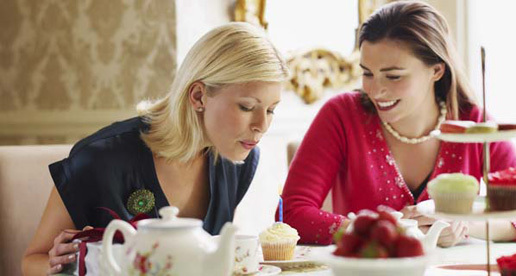 To celebrate the new season, enjoy Afternoon Tea and a glass of Champagne for only £54 for two people. Available everyday from 12pm to 4.30pm.